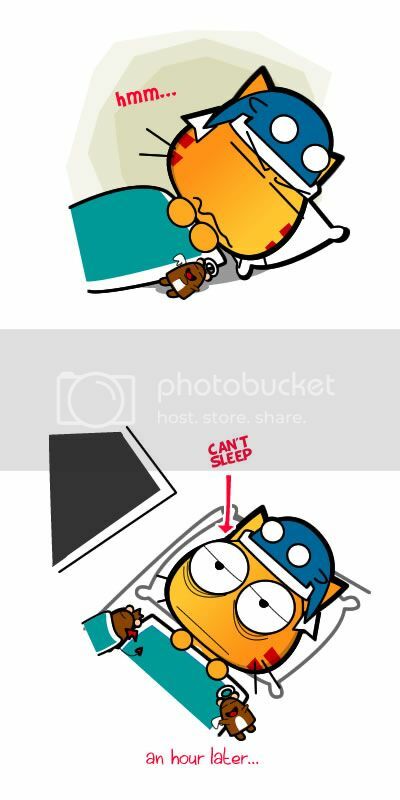 To the one missed call me in the middle of the night, I hate joo!!! Not sure who that fella is since the number is not in my phone list, if he/she happens to be someone I know, I’m so gonna gave him/her a good scolding of waking me up. >< RAWR!! Hmm but total silence keeps me awake too, I need to sleep with the sounds of the fan. 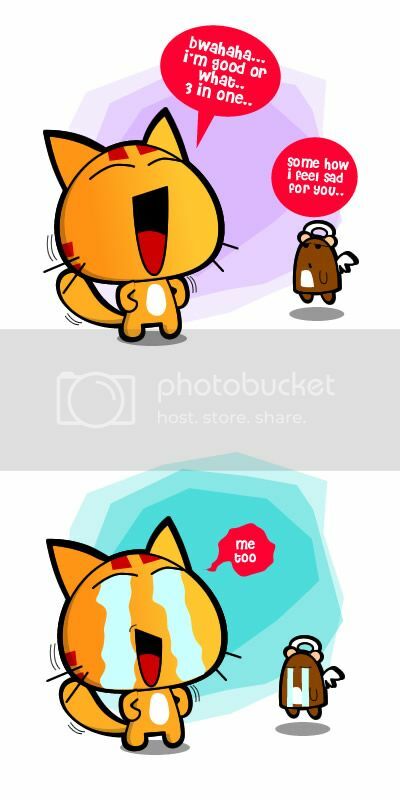 XD I’m a weird cat..
Where did Miao got his ideas from? Being pretty busy lately. Both in the office and at home. 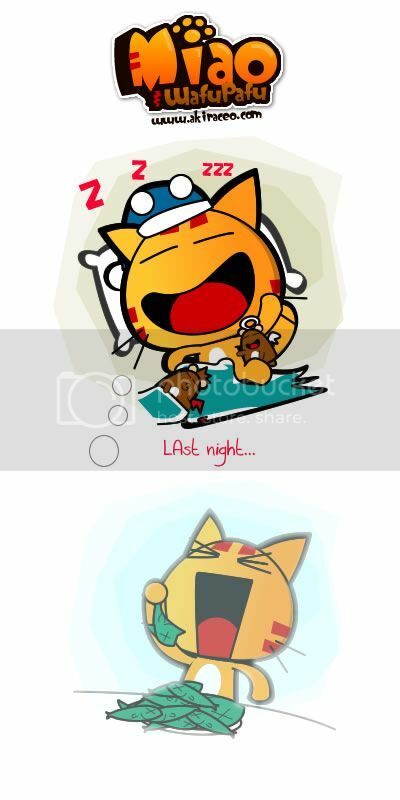 Do enjoy it ^^. Till then. 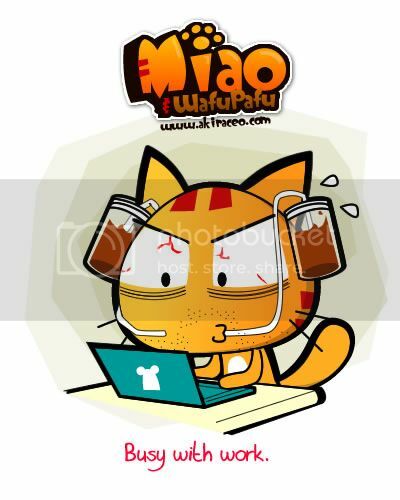 Miao Getting a HTC + Iphone + WindowPhone7? 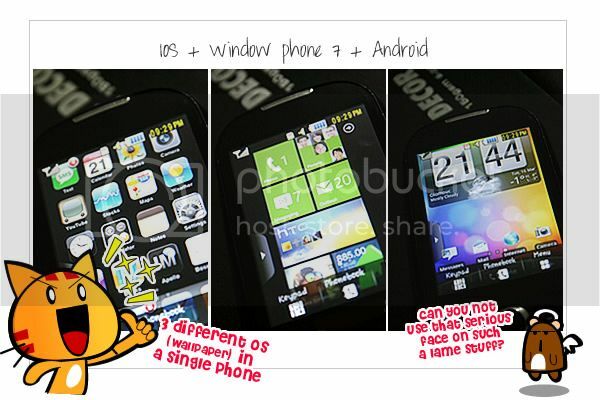 to create my own Smartphone..
Its’s not an Android or an Apple but a combination of 3 Different OS in a single phone! Oh yeah! 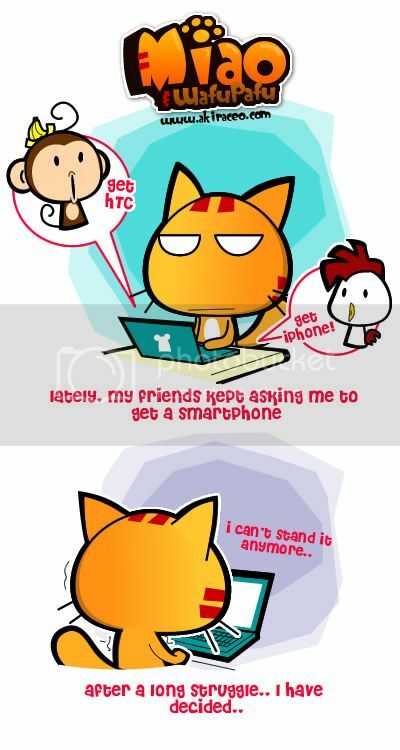 Hahaha.. recently everyone around me is getting a smartphone. Unfortunately for me who is working as an office boy, I couldn’t afford to get one, so I came up with this idea of making my own Iphone/Window Phone 7/ HTC look alike phone. 😀 Kakaka..
Signal doesn't makes you invincible!